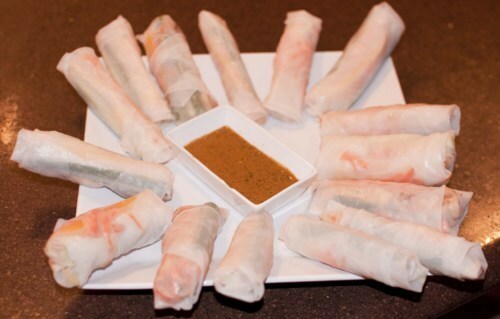 These don’t look like much but they are some tasty thai spring rolls. 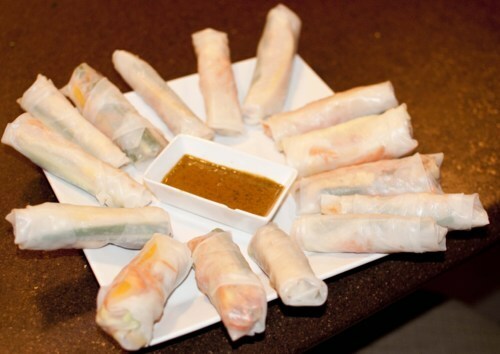 We filled them with tofu, yellow pepper, cucumber, chives and shredded carrot. 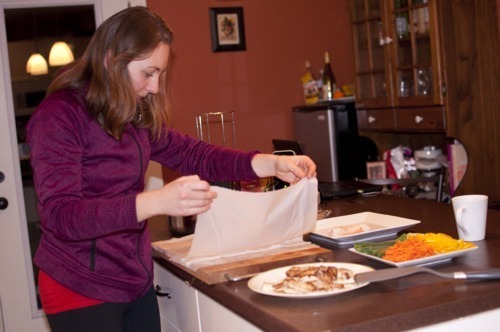 The rice paper is not too hard to work with - you just have to soak each sheet in a bit of warm water before you attempt to assemble it. We also laid down some moist towels to do the rolling on. 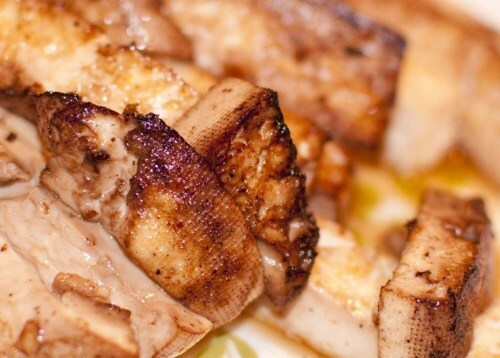 To make the tofu Anna cut it into strips and then seared the tofu with peanut oil and soy sauce until brown. The peanut sauce was probably the best part of this meal. The recipe is adapted from Rebar. We had to make some substitutions - brown sugar and hot water instead of honey / chili powder instead of siracha sauce - that actually worked out quite well. 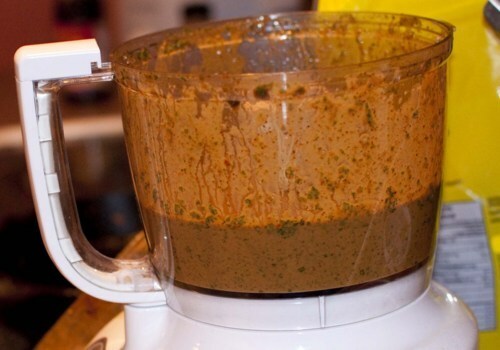 It’s especially easy if you have a food processor. 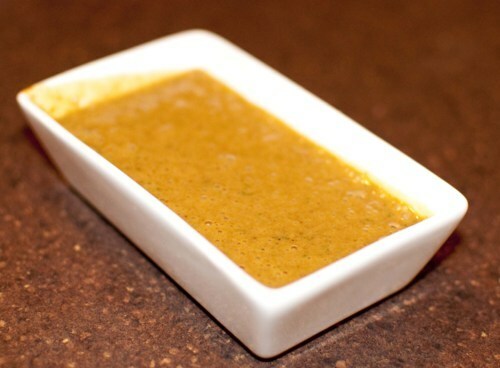 Thanks K for the peanut sauce recipe!